Sri Lanka tea exporters to China are increasing and the country has been able to take 10% share of the Chinese tea market, Assistant Director, Sri Lanka Tea Board, Dhanushka Karunaratne said. 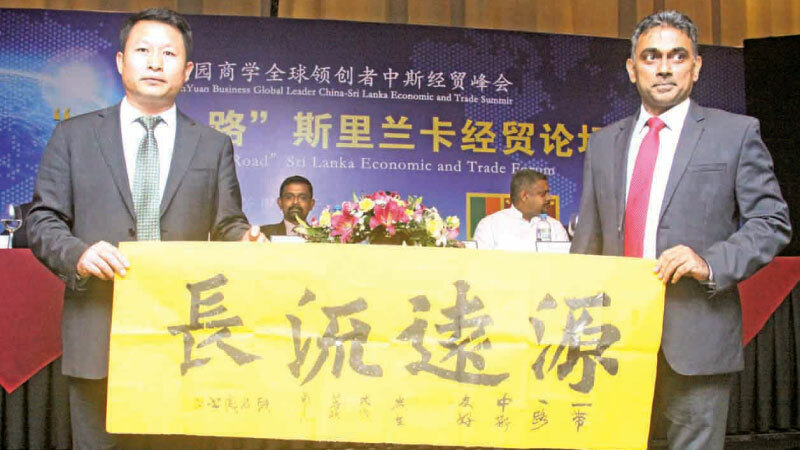 He said that there is specially a growing demand from young Chinese towards Sri Lanka tea. He was speaking at the Sino - Sri Lanka Economic and Trade Forum where over 30 Chinese investors from Beijing participated. He said that in 2015, Sri Lanka was not even among the top ten exporters of tea to China and two years later Sri Lanka was able to move to top eighth position. In 2014 Sri Lankan supplied 6,105 million KG to China and in 2016 this was increase to 8,525 million KG while India was in the second position supplying 5,485 MKG of tea in 2016. Other three major exporters of tea to china are Indonesia, Vietnam and Taiwan. Meanwhile Additional Secretary, Ministry of Megapolis and Western Development, Madhawa Waidyaratna said that the Urban Development Authority (UDA) is still striving to make Colombo the most livable city in the region which in turn would encourage more investments to Sri Lanka. He also said that The Colombo Port City Development project too would be a game changer to woo FDI to Sri Lanka and Chinese entrepreneurs should look at these developments close and try to invest.